Dance Trance was created by Jay Handline as a workout program for all students that love music and dance. It is not a traditional dance fitness program and is different in design from dance fitness programs that have previously been introduced. It covers such a large array of music genres, is offered in different skill levels, and also includes a social network that members can belong to and associate with as members. Dance Trance is usually divided into three levels; Beginner, Intermediate and Advanced. This gives students the opportunity to pick a class that is fast enough for them or one where they want to receive instruction. Offering a different levels is extremely successful because students can enter at a level where they feel most comfortable and progress up to higher levels of technique. The DT choreography is created in a manner that allows students to pick up combinations that will repeat throughout the routine. The musical phrases (verses, chorus, bridge, and instrumentals) are all choreographed so that movements are repeated and associated with the music phrases. Although students learn many songs in a class, they are able to pick up on this method of teaching and learn the combinations as they are working out even if they don’t attend beginner’s level classes. This is the embodiment of the “DT routine”- originally choreographed combinations to original music by the original recording artist. Another unique aspect of DT is the lack of instructor microphone(s). There are no voice commands. This class is all about the music. Students change with the music or follow hand signals displayed by the instructor. We totally promote setting yourself free to become one with the rhythm and one with the music. This class was also designed for the fitness enthusiasts that get bored with their current routine. DT is never boring and changes on a daily basis to keep interest and a love for great music at its peak. This class is so exciting that members have offered to pay just to watch the class at work. 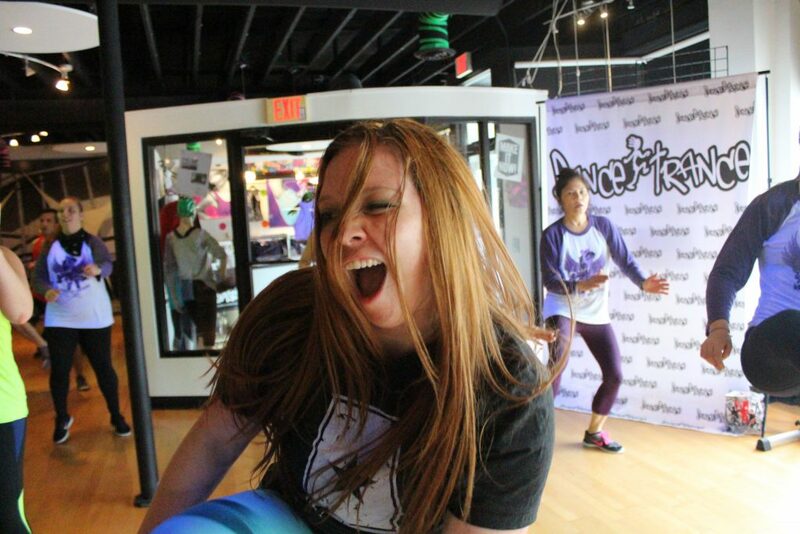 The Dance Trance program includes many events other than just the fitness class. Examples include an annual dance fitness cruise called the Groove Tour Cruise; Dance in the Dark, which is an annual Halloween class; and so many parties, themes and events that are too numerous to name. Interactivity is supported online through online newsletters, daily online messaging, online blogs, message boards, and chat rooms and promoted through suggested activities at your own fitness facility. DT has truly succeeded at setting up a program where the students actually become a part of the experience and feel like they are “members” of a group. Dance Trance makes fitness part of your life and you a part of our great big DT Nation.